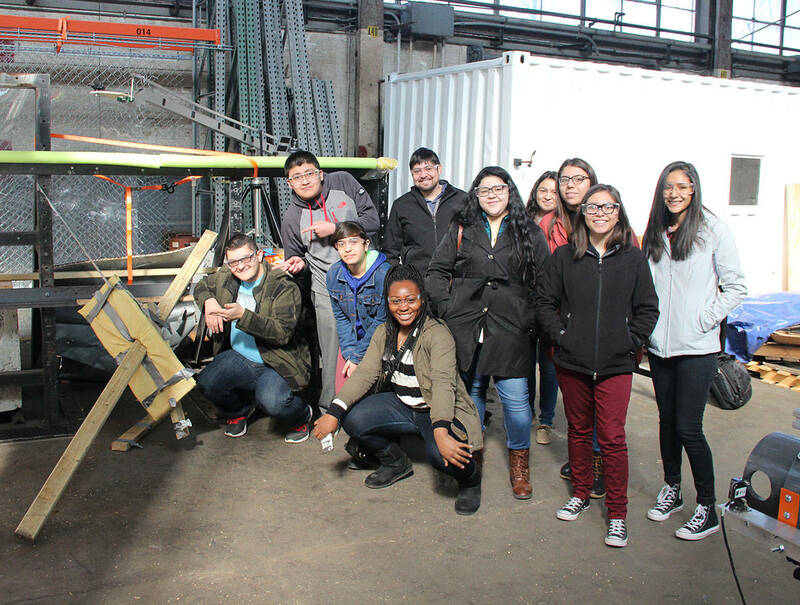 Combining a career talk with a hands-on learning experience and a tornado cannon made for an ‘out of the ordinary day’ for a group of local high school students participating in the Upward Bound program from Waubonsee Community College. 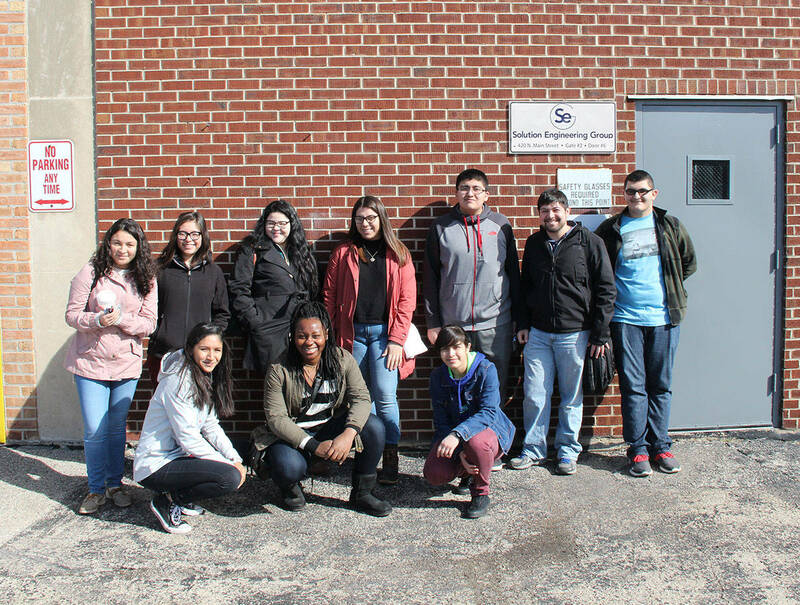 Jeff Williams, President of Solution Engineering Group (SEG), provided several Upward Bound students with an overview of the engineering, science and technical services offered by the company followed by a tour of the facilities. Upward Bound is a federally funded initiative that provides support, motivation and academic preparation to help students succeed in college. During the laboratory tour, the students were shown how scientific and engineering tests are conducted according to national and international testing standards to address the specific needs of Solution Engineering’s clients. 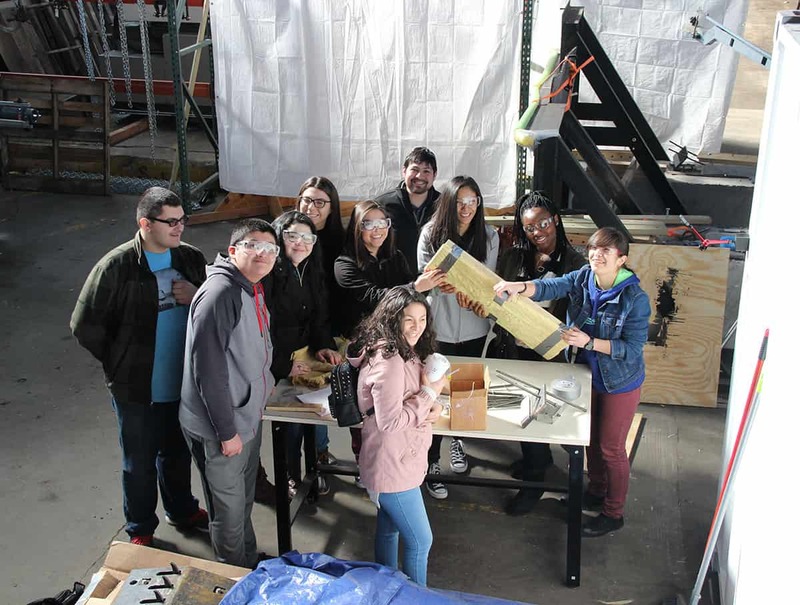 The tour culminated with a hands-on activity where the students tested a wall panel of their own design with the SEG tornado cannon. The cannon replicates tornado damage by firing a 15 pound, 2-inch by 4-inch by 8-foot piece of construction lumber at 100 miles per hour. The wall panel the students built did a great job of slowing down the two-by-four; but unfortunately, it would not have passed the Federal Emergency Management Agency (FEMA) missile test standard. Their conclusion was that more engineering was required!